Do you want a stronger marriage & family? Let the Strong Family Project help you reconnect, grow in faith together, and make each other a priority. Join our faith & family newsletter for printables to help you THRIVE in family life! As a mother to seven children, I can say that one of the greatest desires of my heart is that my children would not only be siblings, but also close friends. In my case, I think part of this desire stems from being an only child without any siblings until I was nearly nine years old. However, I know that having children who are also friends is something that many mothers desire. 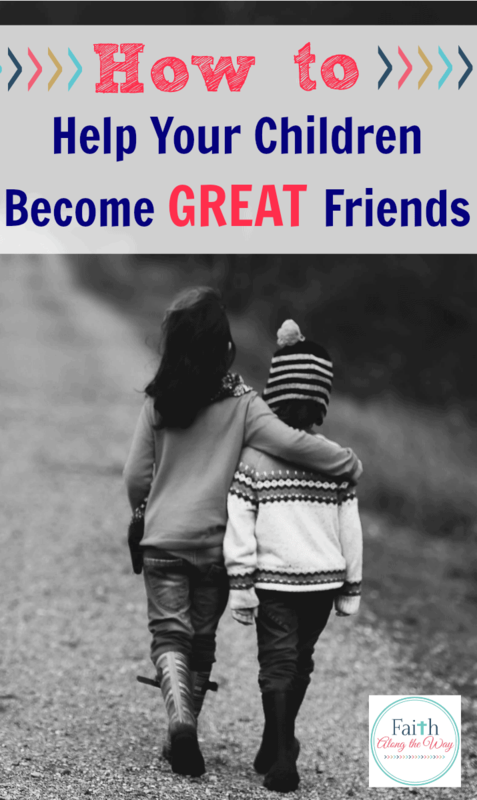 If this is one of the desires of your heart, here are five essential things I feel we as moms can do to help our children become great friends. Create a home that is a haven from the outside world. I love thinking of my home as a haven because it just emits a feeling of calm, peace, and protection in my heart and mind. 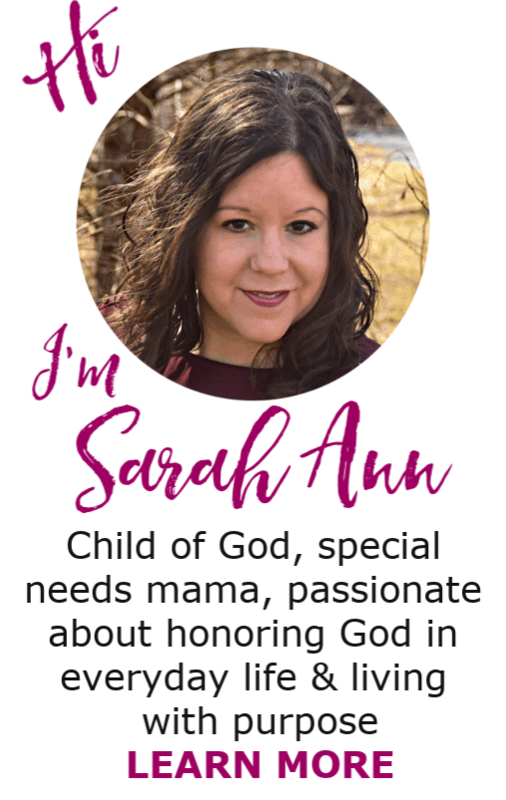 My kids can be ridiculed, poked fun at, falsely accused, left out, emotionally wounded, and so much more in the outside world, but I make sure that my kids all know that they will not be the victim of any of these things in our home. If any of that behavior is even hinted at here, it comes to an end immediately. My primary focus as the keeper of my home is to create a haven of peace, acceptance, forgiveness, and unconditional love toward one another. This doesn’t just happen, however, this takes intention on my part. We do this by having a family night when we might play games, watch a movie, or just sit around and talk whether it is about serious matters or about nothing in particular. 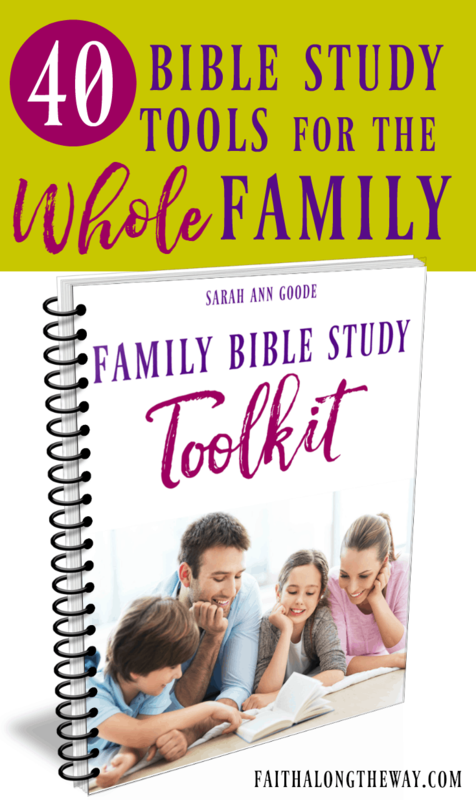 Family devotionals that also contain a fun activity is one of our favorites. Some of my older kids are a bit beyond these now, but they have fun taking part as a mentor and helper to their younger siblings. There are times that we also head out for a picnic, an evening at the playground, or even take a day trip to a museum or other local activity. These are all family building activities that are centered on building relationships while having some fun. When disagreements arise, focus not only on the behavior but changing the heart. Whether our kids are yelling at one another, having a heated argument, or doing something that is in some way unkind to a sibling, selfishness is almost always at the root. 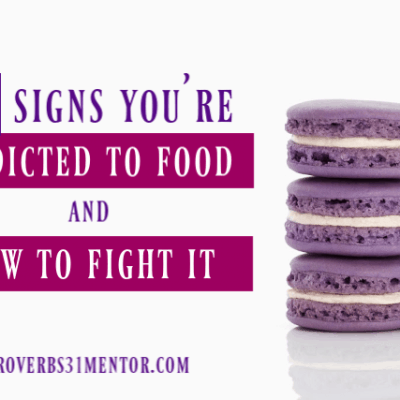 The yelling, arguing, and fighting is simply a symptom of that root. This is why being intentional in training our kids in selflessness, serving one another, and loving without condition is key. There are so many amazing books on this type of character training. Take advantage of some of these resources, but remember that this step is all about changing the heart, not just making the behavior go away. With four kids who are now heavily involved in activities of all kinds including sports, music, and other performances, we do everything possible to make sure that all of our kids are there to support the sibling who is in the spotlight. If this is just something that is a part of the heartbeat of your family from the beginning, your kids simply won’t know it another way. This idea could also manifest itself in older children helping younger children with homework or a school project. As a family who homeschools, our older kids are an important part of the learning that takes place with the younger children since there is only one me to teach multiple children. 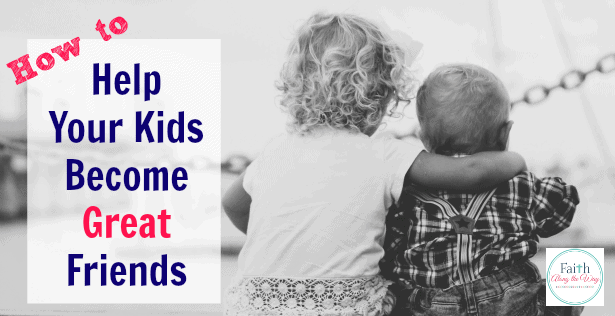 Supporting one another is a great way to foster close sibling relationships. Recognize that it starts with you. Nearly everything starts with us as moms, doesn’t it? The reality is that we as moms set the mood in our home. If our kids see us selflessly serving and loving our kids while also offering unconditional acceptance and plenty of grace and mercy, our kids are much more likely to extend those things to one another. 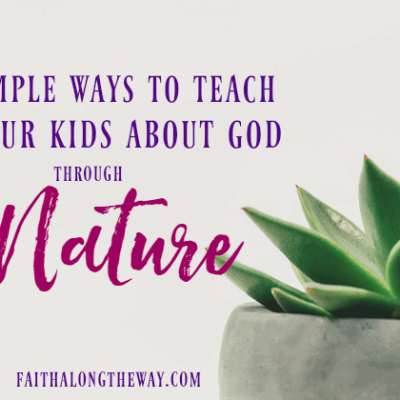 Parenting with a “do as I say and not as I do” kind of attitude is never effective, and for this reason cultivating a home that is heavily laden with love, understanding, and peace truly does start with us. If you long to have children who are there for one another and deeply love one another, you are not alone. In all reality, we will most likely outlive our children, which means that one day they will only have one another. 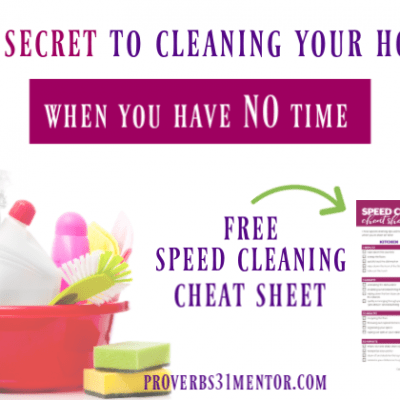 Creating strong family ties and relationships between your children doesn’t just happen by chance, it happens largely in part by the things we teach, model, and do and don’t allow in our homes. These are five of the best things I have found to create a deep love for one another in my children, and it has been such a beautiful thing. I love your point about making home a haven. It is so important to have a safe place with the people who have been given to us to love and be loved by in return. All of your points are fantastic! Tweeting! Thanks so much for sharing! Blessings to you and your family!